When James Ronald “JR” Standring returned to his hometown of Tucson to practice law he wanted to do so with a purpose: to help people in distress. With many years of experience in various legal fields, James Ronald Standring is a well-versed attorney. His journey began in 1996 when James was admitted to Vermont Law School. 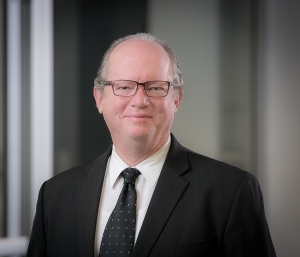 Over the years, he has practiced with numerous law firms, and he’s enjoyed an array of professional opportunities that have resulted in the accumulation of practical knowledge and professional confidence. James Ronald Standring began his educational journey when he was admitted to the University of Arizona. There, he obtained his undergraduate degree in ecology and evolutionary biology. Next, James obtained his J.D. in 1999. While attending university, James also worked as an extern and a clerk. He completed an externship with the Arizona Department of Water Resources, as well as a summer study in environmental law. James worked as a clerk for the Vermont Office of the Attorney General, and he also volunteered for Big/Little Program. The program, entirely set up by Vermont Law School students aimed to offer mentorship to underprivileged youth. After acquiring his degree, James began a journey towards establishing a successful legal practice. In 1999, James was admitted to the state bar in Texas. This was the final challenge he had to conquer in order to begin practicing. His first areas of specialization were oil and gas law. During this period, James worked on the preparation of oil and gas title options, research and preparation of instruments related to the transfer of gas and oil interests. While this highly specialized area of law was rewarding, James decided that he needed a bit of diversification. He extended his practice to general law, real estate issues, uncontested probate, and corporate law. His accumulation of diversified knowledge continued until 2006 when James decided to return to the areas of oil and gas law. Over the years, he joined multiple law firms where he researched questions of legal interest, mentored junior attorneys, prepared first unit-wide division order opinion issued by the law firm, reviewed draft title opinions and advised firm managers pertaining to questions in the field of gas and oil law. James undertook another ambitious project in 2012. This is when he extended his legal practice to the areas of wrongful ejectment, breach of contract and wrongful denial of surface access. In October 2015, life handed James another opportunity to change things up. James relocated to his hometown Tucson. He was admitted to the Arizona Bar in January of the coming year. Upon the completion of these preliminary steps, James established a practice in the field of criminal defense. In addition, he began offering assistance to clients in need of environmental consulting, civil litigation assistance and wills and probate. To offer reliable and personalized services to clients in Tucson, James set up a private practice servicing the entire area. A few of the areas that James has the most legal experience in include the following: contracts and agreements, real estate law, wills and living wills, litigation and criminal defense (on top of oil and gas law). James admits that when he returned to his hometown, he wanted to help people struggling with complex legal issues. Facing criminal charges can be particularly stressful, especially for the individuals who don’t have an experienced attorney to turn to. For him, legal representation is about personalization rather than just going through the motions. According to him, everybody deserves fair treatment, respect, and protection of their constitutional rights. James Ronald Standring has over 15 years of diversified and specialized legal experience. He is experienced in highly complex litigation issues, as well in various criminal law areas – DUI and DWI, domestic abuse, assault and drug possession.